Why iPad Mini Keeps Crashing? How to Fix it? Symptom: Often when we are using our iPad mini to check our mails, open attachments, check Facebook or even play music at times, it would crash abruptly. The screen would go blank and the lights would dim and the Apple logo would appear on the screen. A major reason for this happening can be of a faulty flash memory on your device. It doesn’t show immediately but only when your device reaches that part of the memory to use it for storage or for usage. Third-party app is not compatible with the latest iOS system. iPhone is full of junk files, corrupted files, etc. Part 3: iPad Apps Keep Crashing? Here is the Fix! Part 1: What to Do When iPad mini Crashes? Press and hold both the Power and Home buttons at the same time until the red slider appears. Slide your finger across the slider to turn off your iPad mini. Press and hold the Power button until you see Apple logo. When iPad mini has been restarted, all the RAM gets written again, that’s why it may fix iPad mini crashing. Press and hold the Power button and Home button at the same time for at least 10-12 seconds until the Apple logo appears. Then please wait for it to restart. 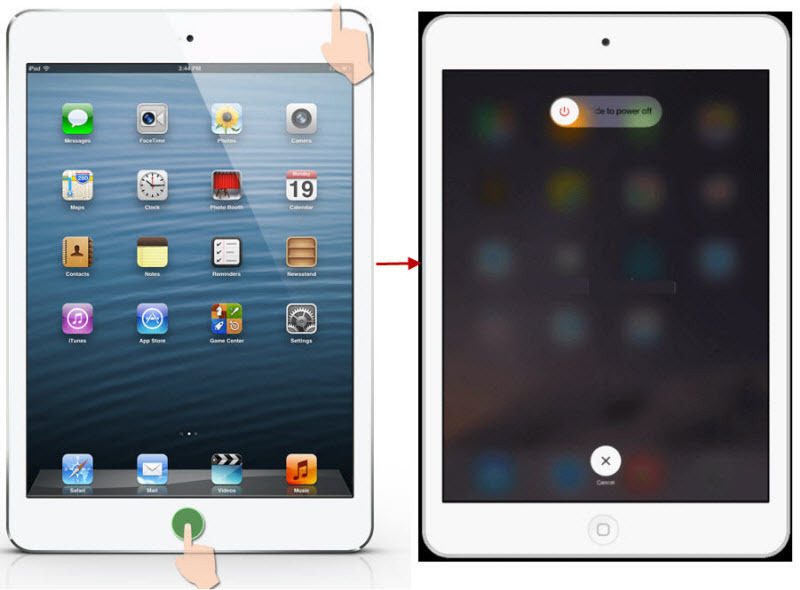 iPad mini crashing issues have become somewhat of a common issue for consumers. Gone are the days when a simple phone/device can be functional by just readjusting the batteries. Consumers now look for permanent solutions that can help them in the long run and this case the iPad mini doesn’t crash anymore. One way to do it is to get rid of extra junk files and temporary files from your device that can take up extra space and make the device slow and faulty. These files can also tamper with the memory and flash of the device so it’s best to fix it. iPad mini or iPhone doesn't provide the option to clean junk except to uninstall apps, but you can take advantage of iMyFone Umate Pro iPad Cleaner or iMyFone Umate Pro iPad Cleaner for Mac which is the wonderful solution to fix iPad mini crashing. With it, you can remove all useless files in one place, and manage your iPad mini storage memory to reduce the chance of crashing and malfunctioning. Clean junk files for free, including 30+ types of useless files like corrupted files, cookies, log, caches, etc. Temporarily downloaded files will be scanned and thoroughly removed from iDevice. Completely wipe hidden deleted files which are still left on your device driver. Incomplete traces or fragments left by third-party apps can be easily erased. Fully compatible with iOS 11.3 and receive lots of positive reviews from macworld.co.uk, Makeuseof.com , Cultofmac.com etc. Step 1: Have the software installed and run it on your PC and connect your iOS device with a cable. Step 2: Hit “Quick Scan” button to start space saving analysis. 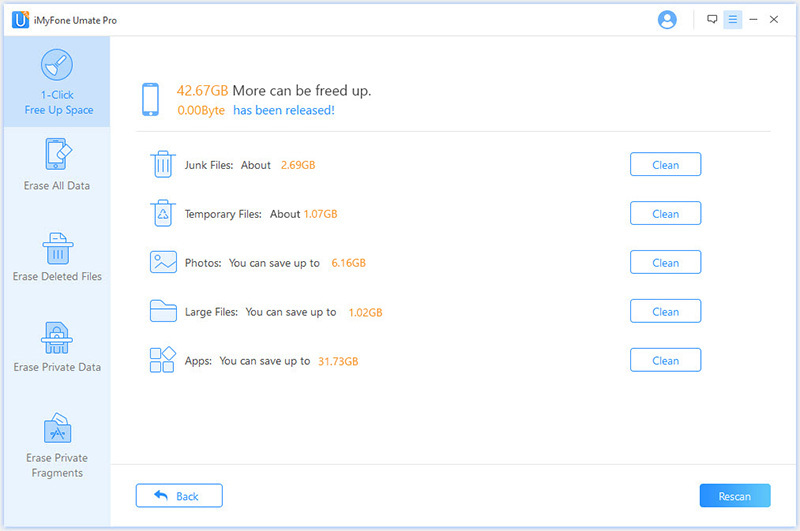 It will show how much space can be saved from your device. Step 3: Tap “Clean” button beside the specific item, like “Junk Files” or "Temporary Files". When it finishes, you will know how much storage has been cleaned. If you want to erase the hidden deleted files from iPad mini, choose "Erase Deleted Files" form the left panel. If you want to wipe incomplete fragments of third-party apps, choose "Erase Private Fragments". iMyFone Umate does well to keep your iPhone clean, also it provides the complete solution to secure privacy of your iPad/iPhone data. When iPhone/iPad data is erased, it can't be recovered with any recovery tool. You can choose to reset the whole iPad or iPad data selectively. It allows you to preview data first and select private photos, videos, messages, call history, browsing history, contacts, etc. to erase. Being the first iPhone data eraser that supports third-party apps, it can erase data from WhatsApp, WeChat, Line, Viber, etc. If you have applications that are also in your iPhone, you don’t need its notifications on your iPad mini too. Your iPhone can be the sole use for those apps and the notifications. This keeps the iPad free and lighter and saves you from notifications twice. 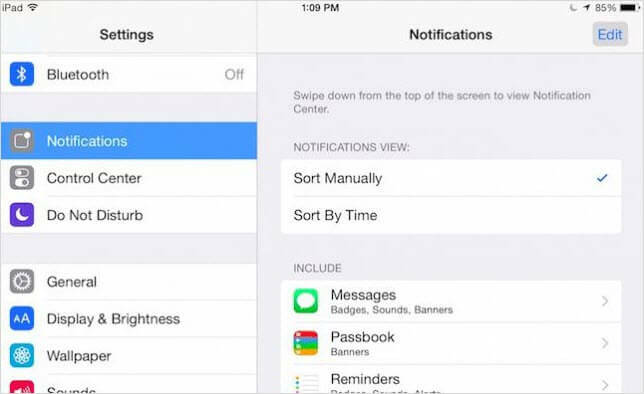 Go to “Settings” of your iPad mini and select “Notifications”. Select each app separately and turn off its sliders. 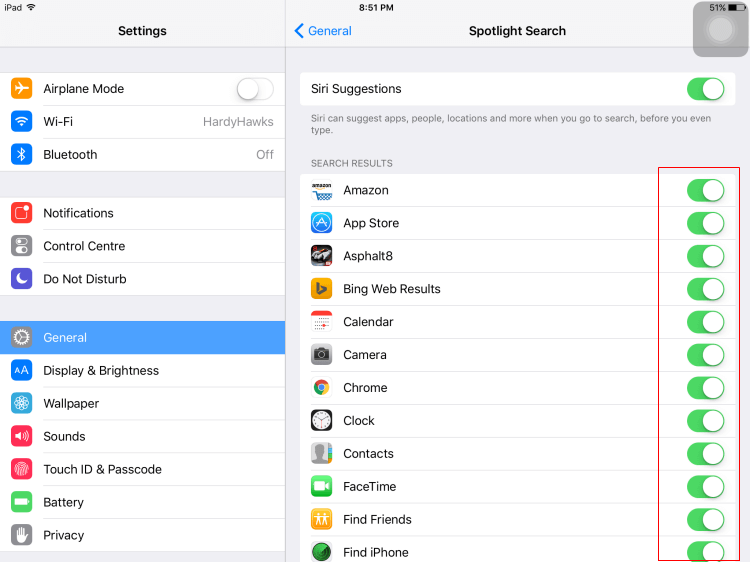 Spotlight search allows you to search anything- contacts, music and apps but you can do it on your own too, so you can uncheck this field and save some energy. Go to “Setting” and the “General” tab, click on “Spotlight Search” and uncheck the items under "SEARCH RESULTS". Keeping your device up to date helps a lot. 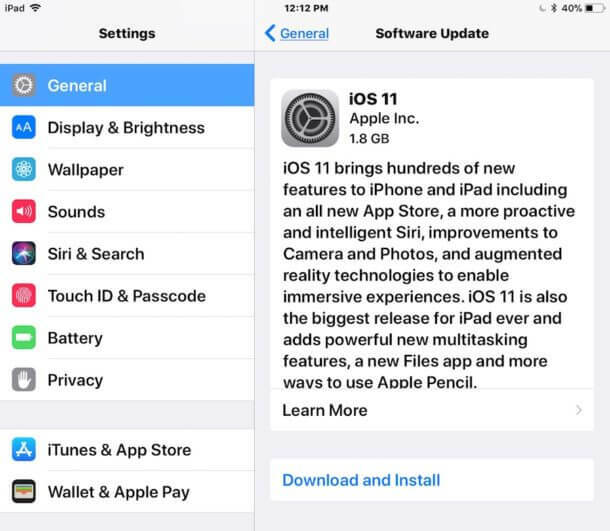 If you update your device as per trends and time with latest iOS updates, your device will function better because all the systems are updated too and made better. The same can be said for your applications that you need to update them with time so they function as per the latest development and does not make your device lag or make the use hard for you. Symptom: An app can crash randomly when you are using it, which is more common. Or it may crash right after you launch it, which means it was just no possible to use the app. Way 1: Quit and Re-lanuch the App. When an app crashes, you can double-tap the Home button and delete that app from the background. Then try to open the app again. Way 2: Clean Corrupted Files. 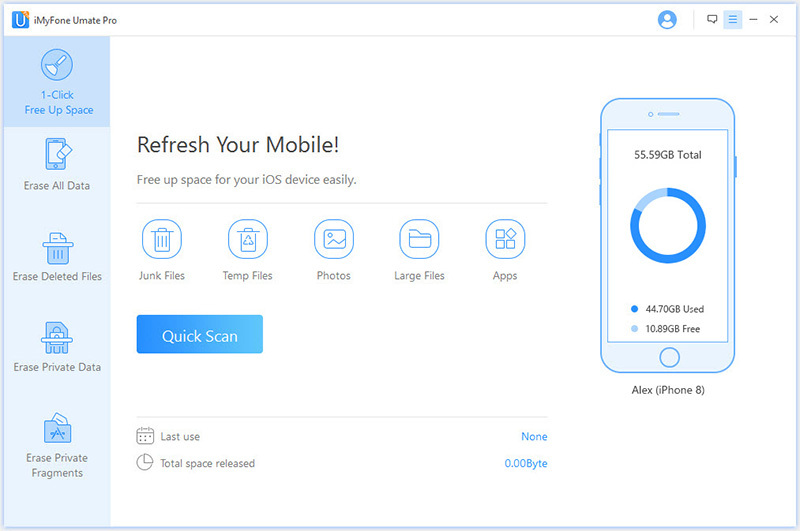 You can uninstall the apps which created the corrupted files, or simply download iMyFone Umate Pro iPhone Cleaner to clean all the useless and harmful files. We have discussed this above, you can click here to access it. 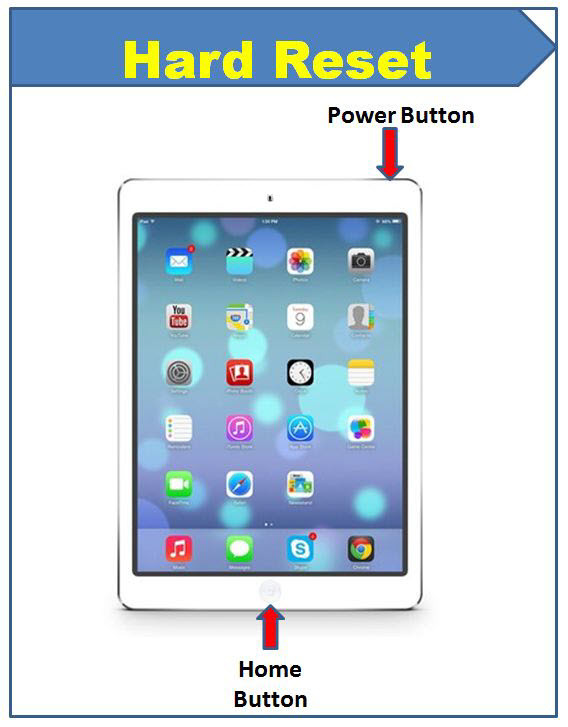 Way 3: Force Restart Your iPad mini, which is also discussed in the part above, tap here to locate it. Way 4: Update to the Latest iOS. Please simply go to "Settings > General > Software Update" on iPad mini. If it show you the new iOS, click "Download and Install" there. Way 5: Install the Latest App. You can do updates of any apps from the App Store. On your iPad mini, open App Store, tap "Update" at the bottom and then tap the Update button beside the specific app. Type your Apple ID password and it start to download and install the update. Way 6: Uninstall and Reinstall the App. On your iPad mini, keep pressing the unwanted app on your home interface until all the apps are joggling, tap the "x" button and confirm the deletion. Then open App Store and download the app again.